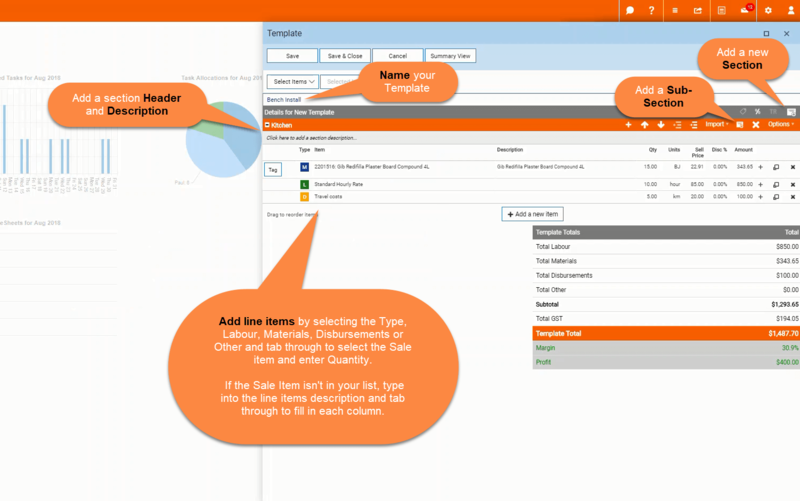 Pre-Built Sale Item Template – Welcome to the NextMinute support and feedback centre. 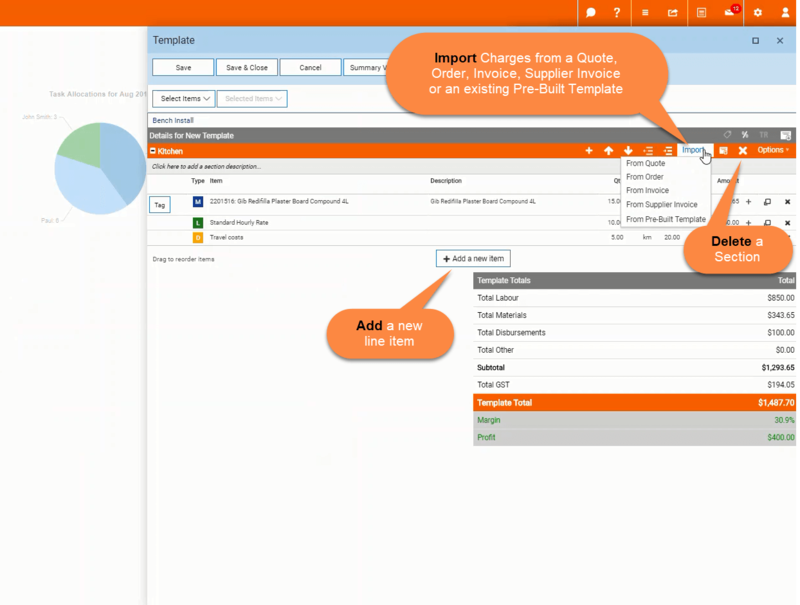 Pre-Built templates give you the ability to create bundles of charges in template form. 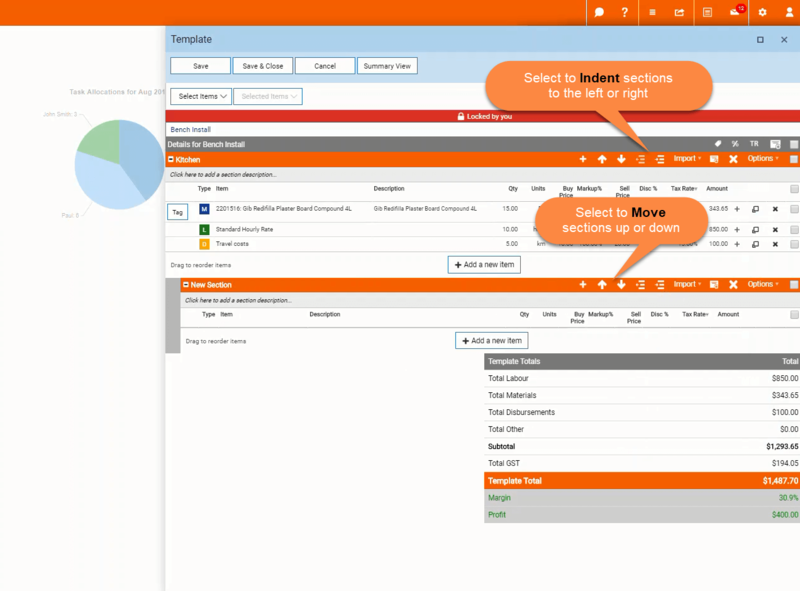 You can quickly access these to include in quotes, purchase orders and invoices. Your field service team can also access them when adding actual charges to jobs whilst on the go. They are ideal for a standard set of charges for a job, task or work action. 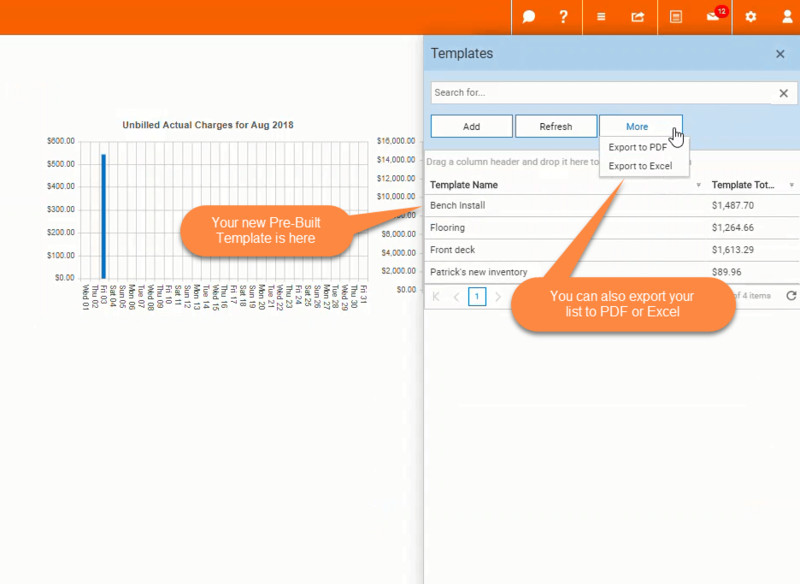 By creating Pre-Built templates you and your team have them at your fingertips when adding charges, quoting, ordering and billing. They are designed to make your quoting and charging easier to record. You need not think about what the standard charges are, you have them right their in your pre-built template. It removes the opportunity for missed charges on quotes and invoices OR omissions from purchase orders. 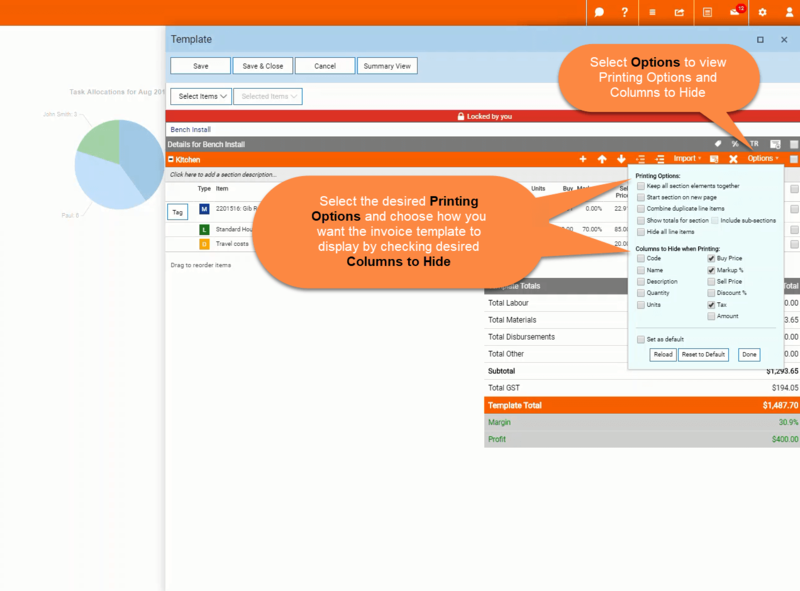 Another great feature of Pre-Built templates is you can convert any quote, order or invoice into a Pre-Built template. That way you can call on that bundle of charges more easily in the future. 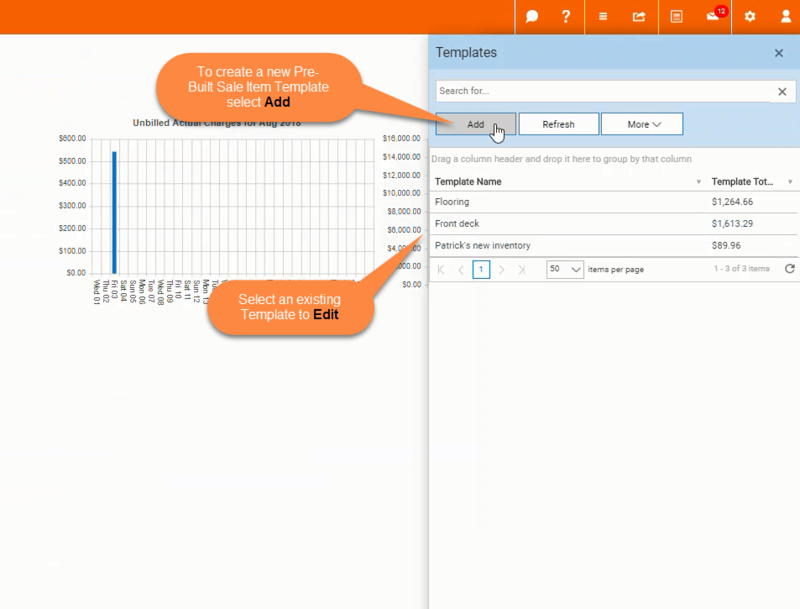 Let's take a look at how you create your own Pre-Built Sale Item template. Select Add to create new Pre-Built Sale Item Template. You can Add new items in this view or select Edit. By choosing edit, you will see the edit bar. This gives you a range of template options, you can customise the layout, add new sections, re-order sections etc..
Edit the templates name, section and section details. 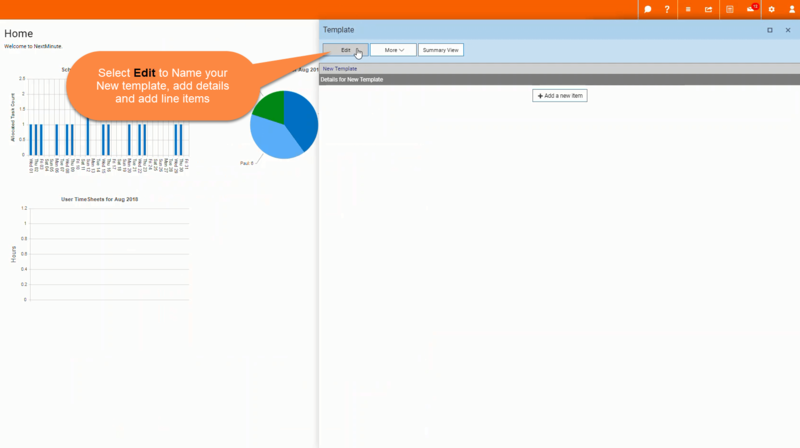 Then start adding line items, select the Type (Labour, Materials or Disbursements) and tab through. You can also add line items that aren't saved to your Sale Items by adding a new line and entering a Description. Add new Sections and sub-Sections as required. 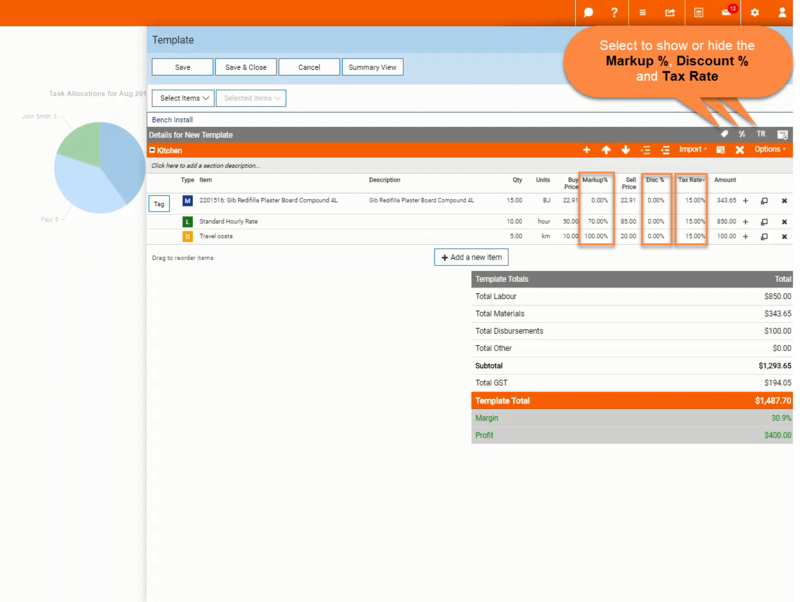 Import charges from an existing Quote, Order, Invoice, Supplier Invoice or Pre-Built Templates. Delete sections and add new line items. Move Sections up or down, or Indent them left or right.